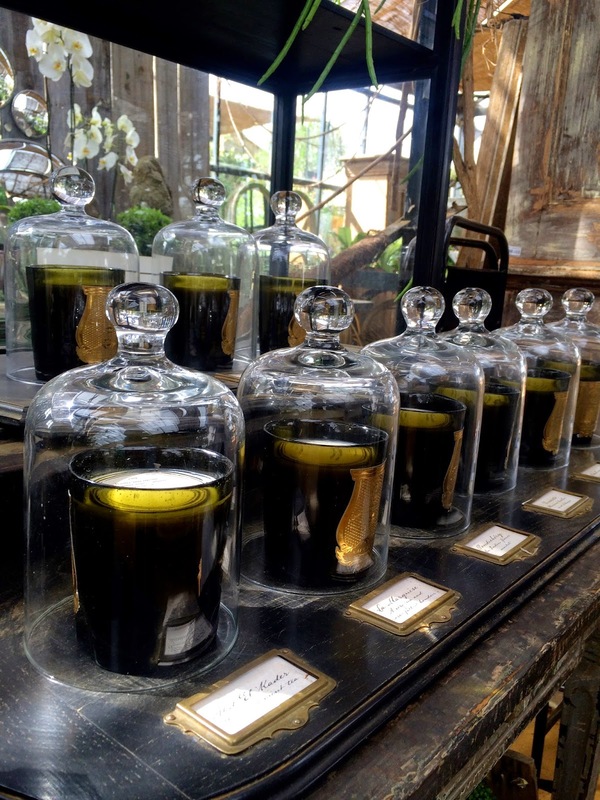 Petersham Nurseries is a little haven in far west London. All who know me, and for those who don't, I have a little obsession with garden centres. 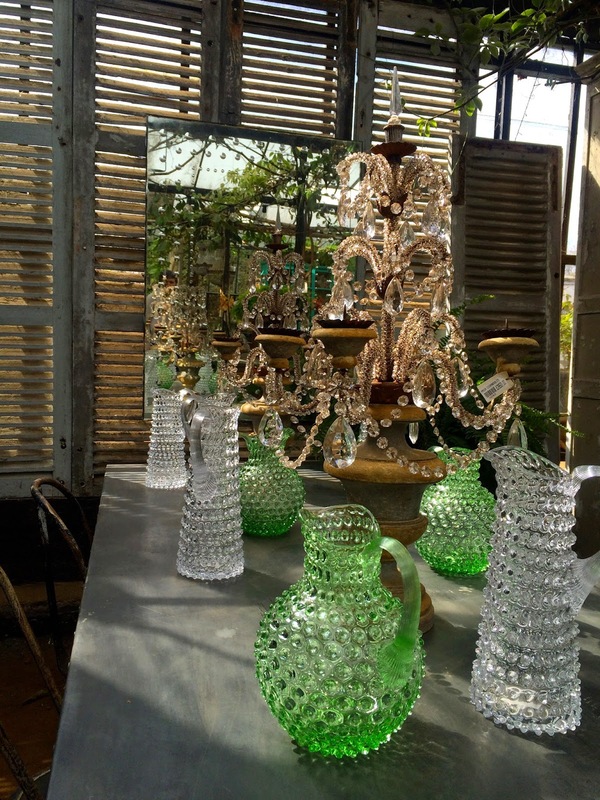 I like the lifestyle, homewares that always feature and of course in the spring time the excitement and plethora of of plants they have to offer to add to an already established garden or to start a new one. The Buford Garden Centre has been a favourite of mine since I was tiny, everything you could ever want for your home and garden under one roof. Gee's also has taken this outdoor feel and brought it inside over the past years and it works fantastically. To feel as though you are eating amongst the produce has never been so much in fashion and I like it, a lot. 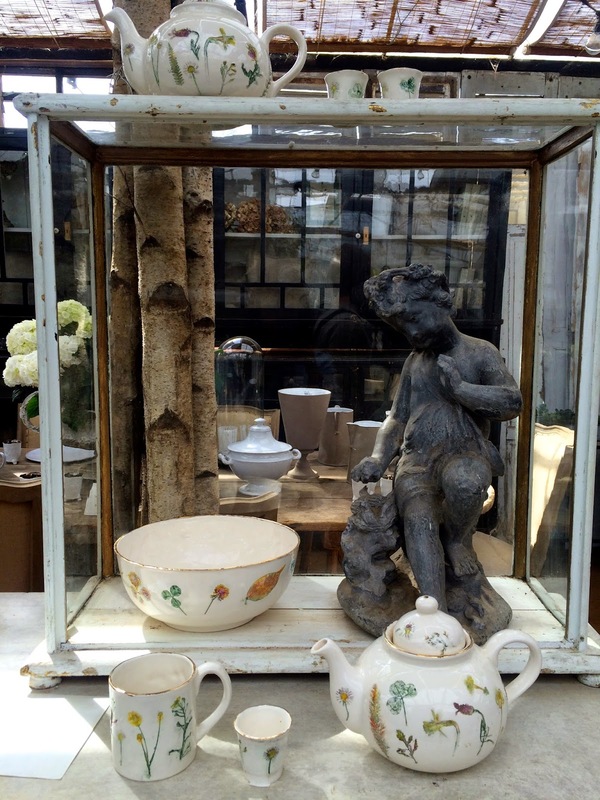 The Cafe at petersham Nurseries is a whole lot more than a garden centre cafe, as from a glance you or I might think. In fact it is beautiful, award-winning restaurant, hidden under a bamboo canopy with an earthen floor serving fresh delicious food that you might think was sitting in the sunshine in the veg patch only moments ago. 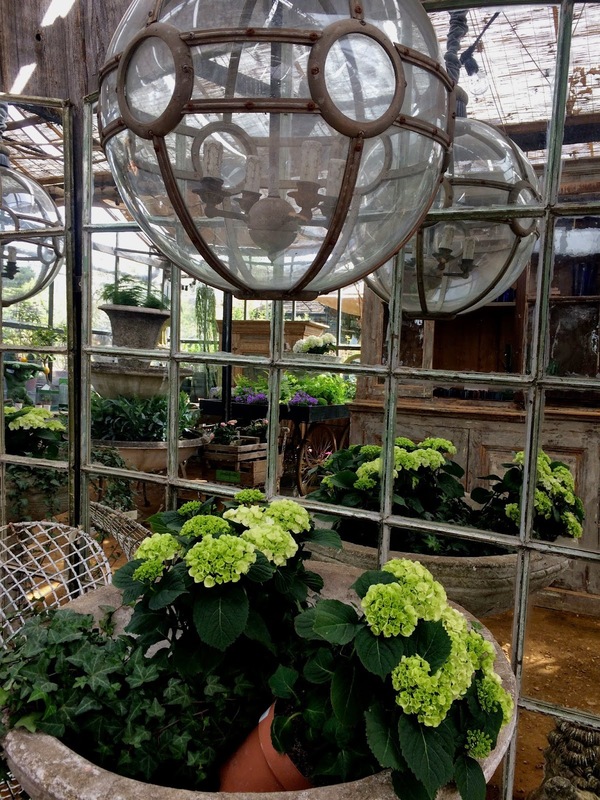 ...that chandelier you know you could squeeze in somewhere even if it were to over crowd the smallest of spaces and all of those beautiful hydrangeas coming into bloom in worn terracotta that would look perfect in any window. 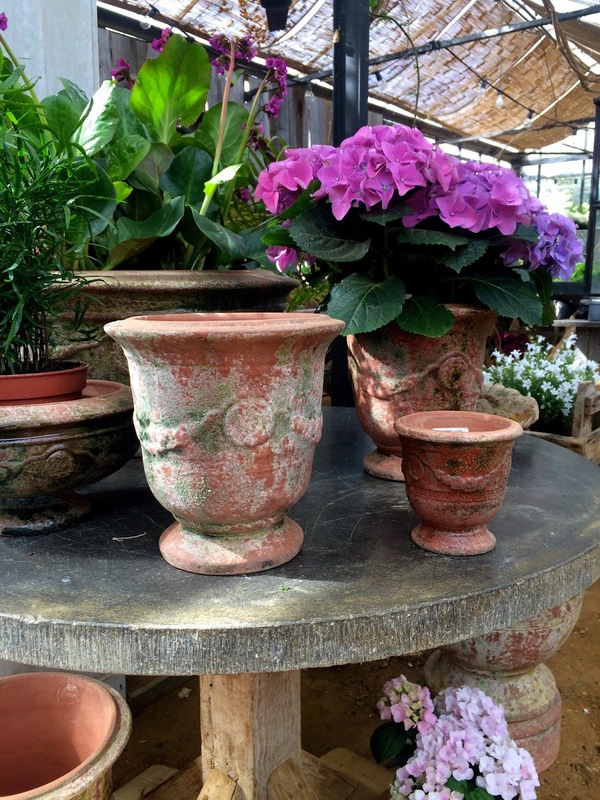 Last but not least candles the size of plant pots giving off delicate floral sent that could refresh any warm evening or lighten a drizzly morning. This garden centre is a place to get lost in and we haven't even sat down yet. 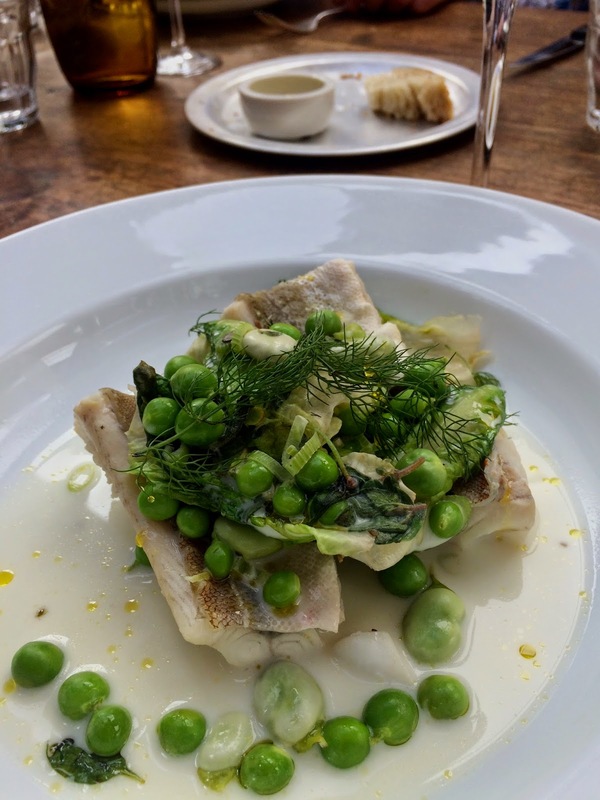 After a good wander, we perused the menu... Wild Asparagus, Cepe risotto, Nettle ravioli, everything had a crisp freshness in its description that tickled all our taste buds and no one could wait to get started. 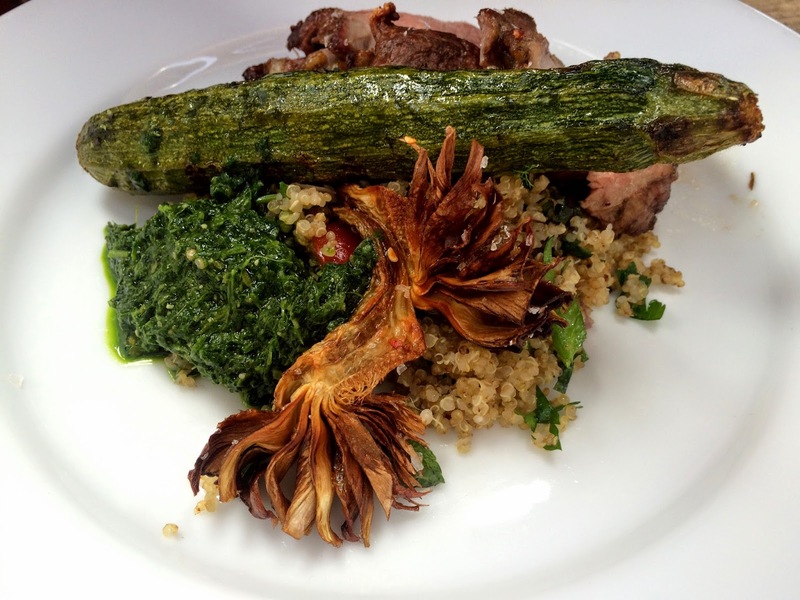 and lamb topped with a whole chargrilled courgette. The desserts were really a work of art. Now I am not normally one to enjoy flowers in a dish but these were a game changer. Below, chewy meringue, the tangiest lemon sorbet and velvety cream. Another beautifully presented dessert, mango carpachio with lemon sorbet again tousled in (edible!) flowers. Lastly the cheese option with quince jam and blanched roasted almonds. 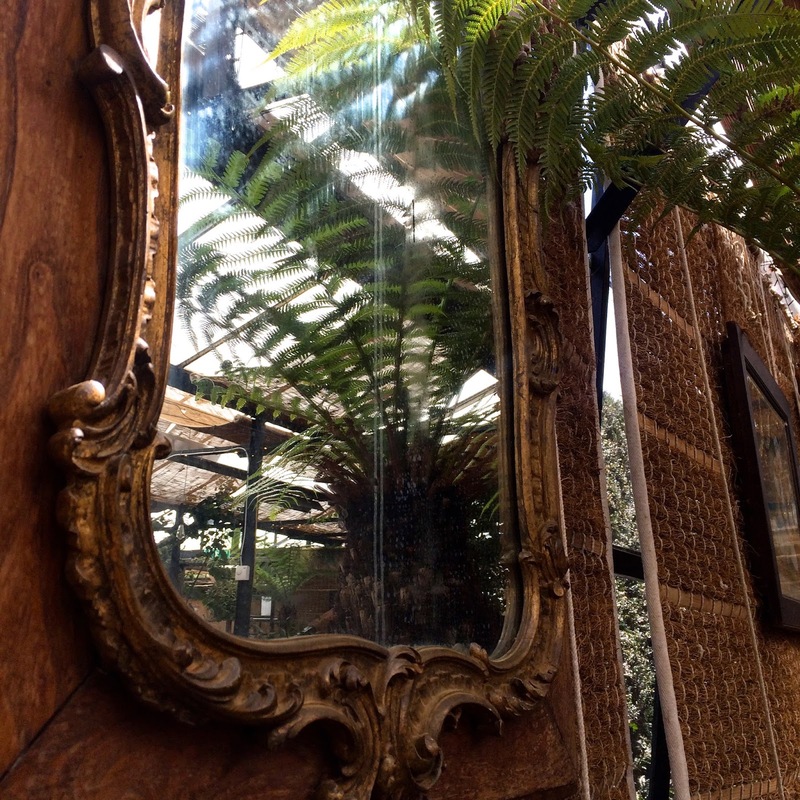 Surrounded by palms, mirrors, art, ferns and flowers this place is unmissable, delicious and a real treasure trove. 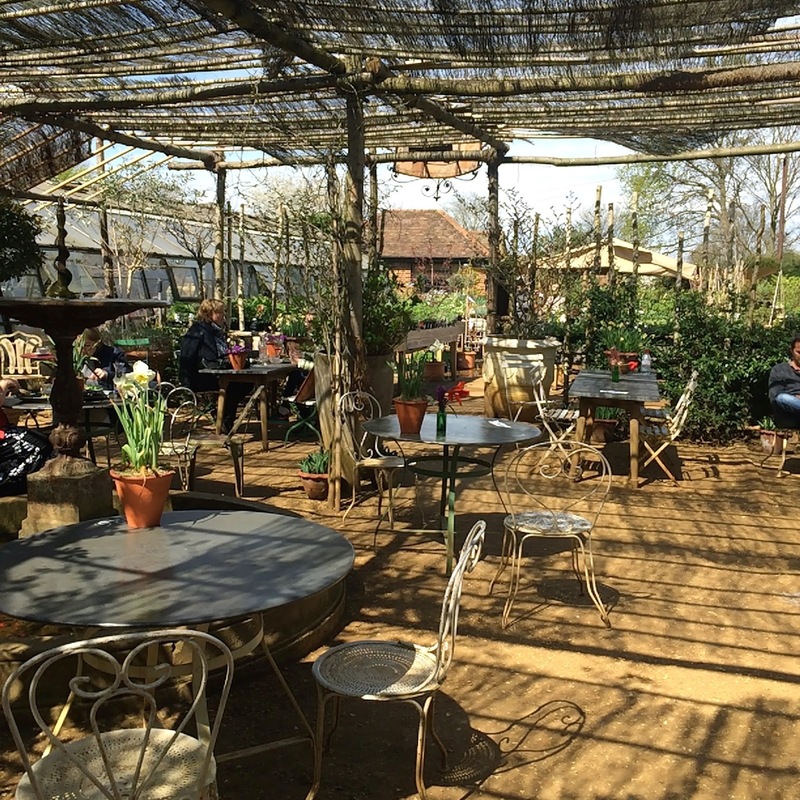 If you don't fancy lunch you can always opt for tea and cake, they have a beautiful selection of cakes daily all served with piping hot coffee and of course you can enjoy your tea in an other prefect greenhouse setting. For rustic wanders out there, keen gardeners or foodies this place is a must all year round. 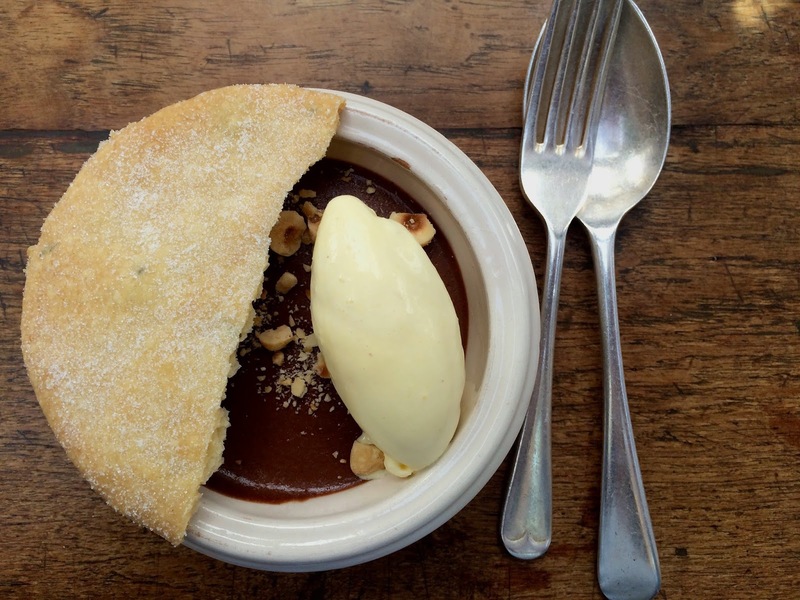 The dishes reflect the seasons along with your surroundings, I will be sure to come back for tea and cake and also once the season changes to see what other beautiful dishes have been dreamt up while I have been away. Find them here... be sure to book and get ready to be wowed, in the perfect setting.